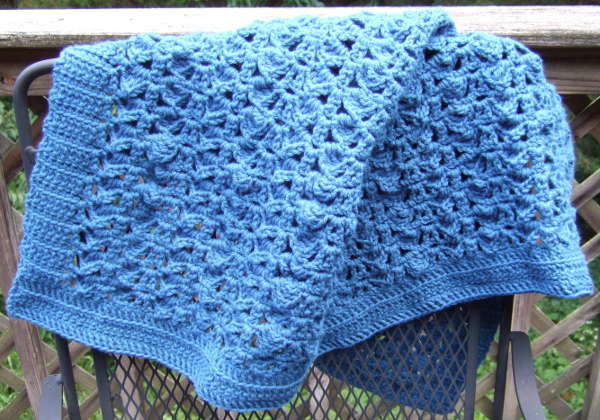 This is the straight needle version of this pattern. The in-the-round version is here. 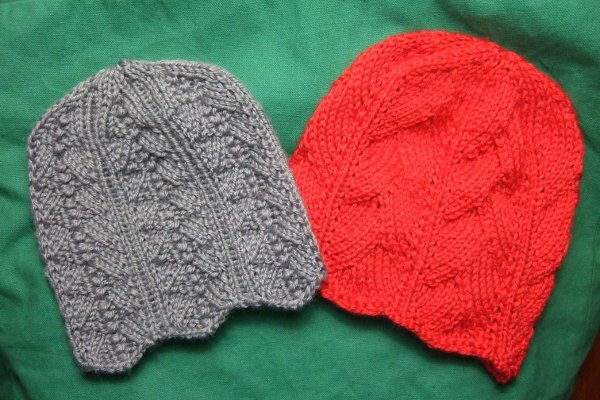 There are now coordinating scarf patterns available for each of the hats: Pleated pattern and Art deco. Repeat rows 1 – 6 until the hat measures 5.75″ from the edge. End with a Row 6. Cut the yarn with two feet to work with. With a yarn needle, pull the yarn through all the remaining loops, secure, seam side, secure, and weave in end. 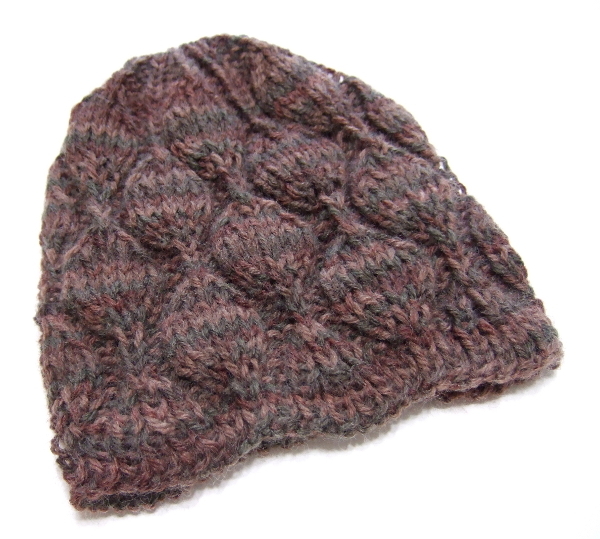 Repeat rows 3 – 14 until the hat measures 5.75″ from the edge. End with a row 14. This little hat is made to coordinate with my Train Track Baby Blanket. Instructions are given in several sizes. The sleepers are formed by elongated stitches that are picked up on the opposite rail. 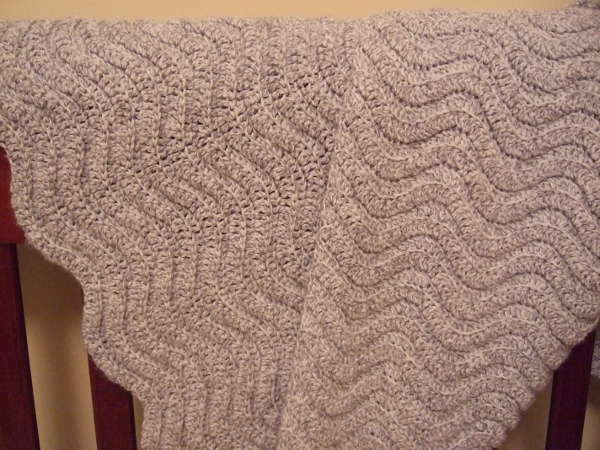 This is the straight needle version of this pattern. The in-the-round version is here. 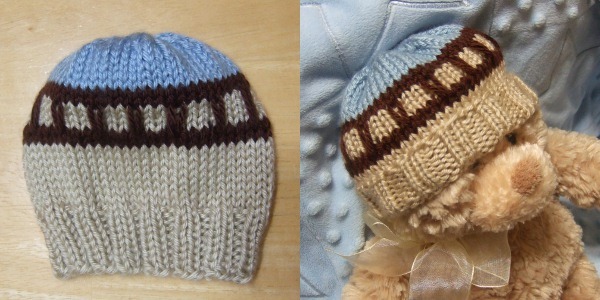 At least two colors are needed to make the hat, but up to four can be used. The example has three. dws – drop with slip: slip the stitch with the extra wraps purlwise, dropping the extra wraps. There will be a single elongated stitch. Start with color for ribbing and below track. Make these rows 3 times for preemie size, 4 times for other sizes. Make rows of stockinette as outlined below for the size you want. Odd rows are knit and even rows are purl. Change to above track color. Cut the yarn with two feet to work with. With a yarn needle, pull the yarn through all the remaining loops, secure, seam the side, secure and weave in end. 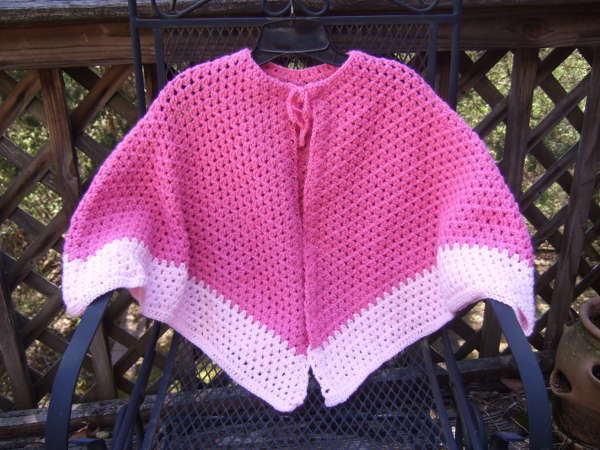 The example is made in Bernat Softee Baby, a DK weight (Light-3, 8 ply) acrylic yarn. Dec – Decrease 2 stitches – yo, insert hook in next stitch, yo and pull up a loop, yo and draw through 2 loops on hook, yo, insert hook in next stitch, yo and pull up a loop, yo and draw through 2 loops on hook, yo and draw through all 3 loops on hook. The beginning chain should be a multiple of 20 plus 3. Row 1: Skip first 3 ch (counts as first dc), **[2dc in next ch, dc in next ch] twice, [dec (uses next 2 ch), dc in next ch] four times, [2dc in next ch, dc in next ch] twice. Repeat from ** across to end. Turn. 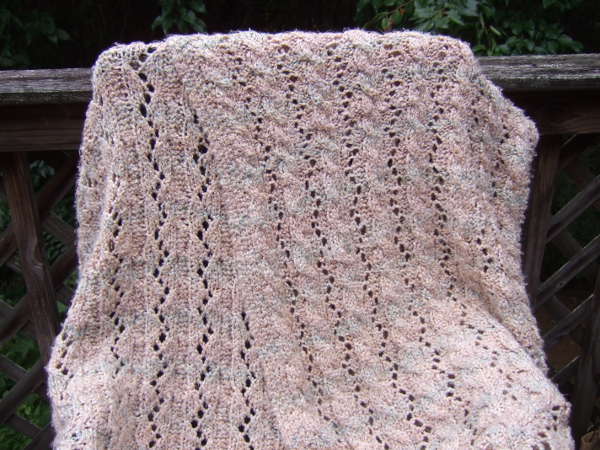 For the rest of the blanket, work all stitches in the back loop only. Row 2: Ch3 (counts as a dc), skip first dc **[2dc in next stitch, dc in next stitch] twice, [dec (uses next 2 stitches), dc in next stitch] four times, [2dc in next stitch, dc in next stitch] twice. Repeat from ** across to end. The last dc will be in the top of the turning chain. Turn. 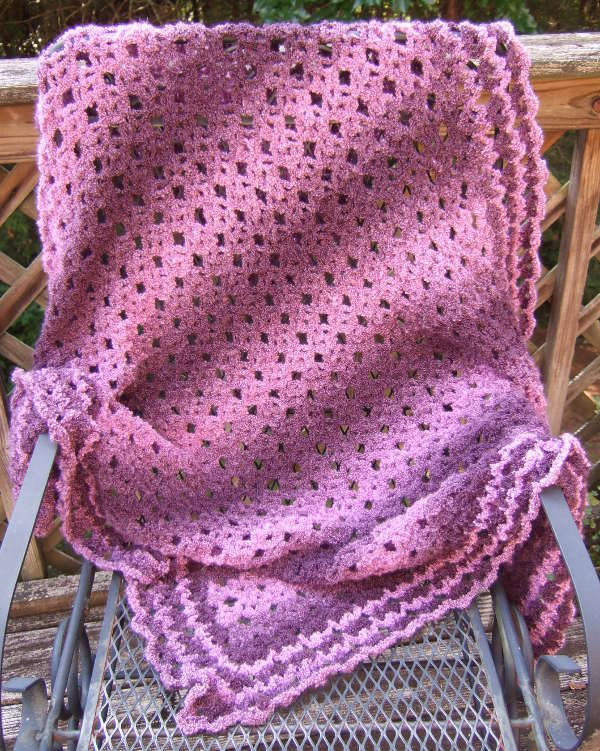 Repeat row 2 until afghan is desired length. This is a straight needle version of the pattern. See the in-the-round version here. Sizes: The circumference measurements given are unstretched. This is a very stretchy hat. 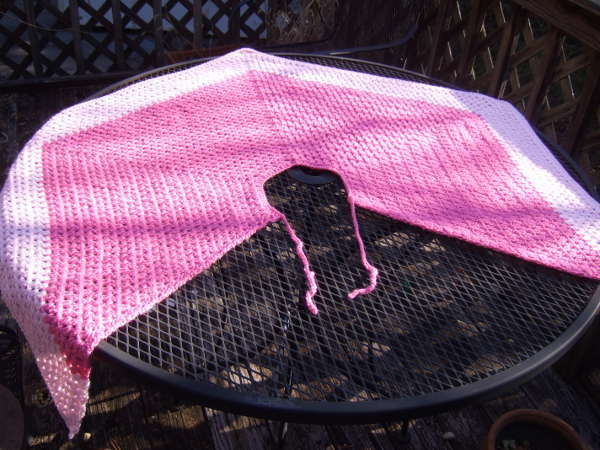 Repeat rows 10 – 25 until the hat measures 1.75 inches less than desired finished length. Begin crown after a row 12 or a row 20. Some of you have asked for written guidelines on how the patterns found here may be used. These permissions have been provided, and, fortunately, there are very few limitations. I love seeing how many items are created for charity, sale and just personal use, and I certainly encourage you to keep making and using your beautiful things any way you see fit! Please see the Using My Patterns page linked in the menubar above and at the end of each of my patterns for more details.